#1 Foam Hand Mitts - fun for any game! Show everyone who's number one with these popular foam mitts. 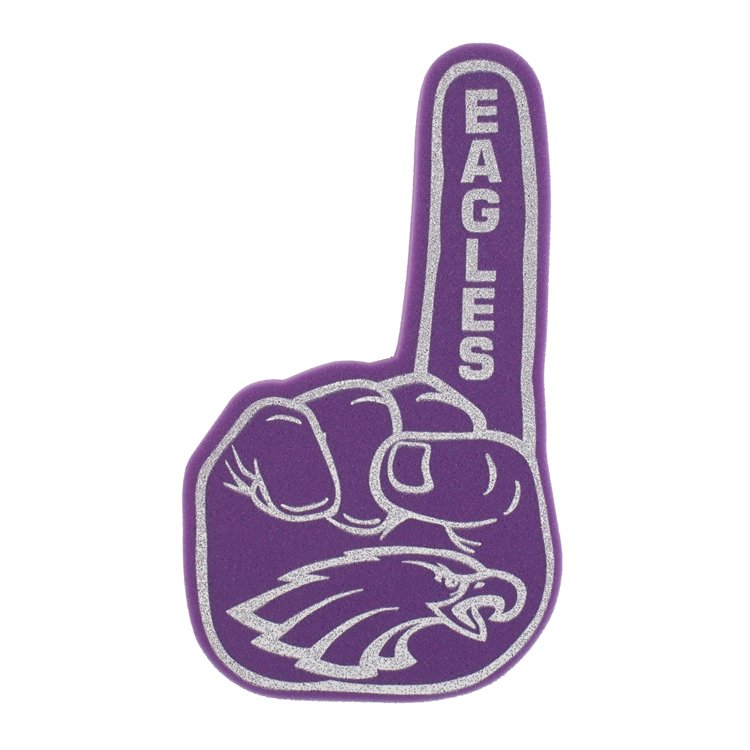 We've taken the #1 foam hand out of the 70's and given it a updated or fresher look. Made of bright, colorful, open-celled foam in a variety of sizes, these novelties are imprinted with a high quality, waterproof ink on either 1 or 2 sides. • Available in 6 popular sizes. • Imprint on 1 or 2 sides (add 50 cents for 2nd side print), 1st print included in price. • Quantity discounts available at 250 or more, email sales@acdsports.com for pricing.